Vitamin C wildcard and the gut's best friend. 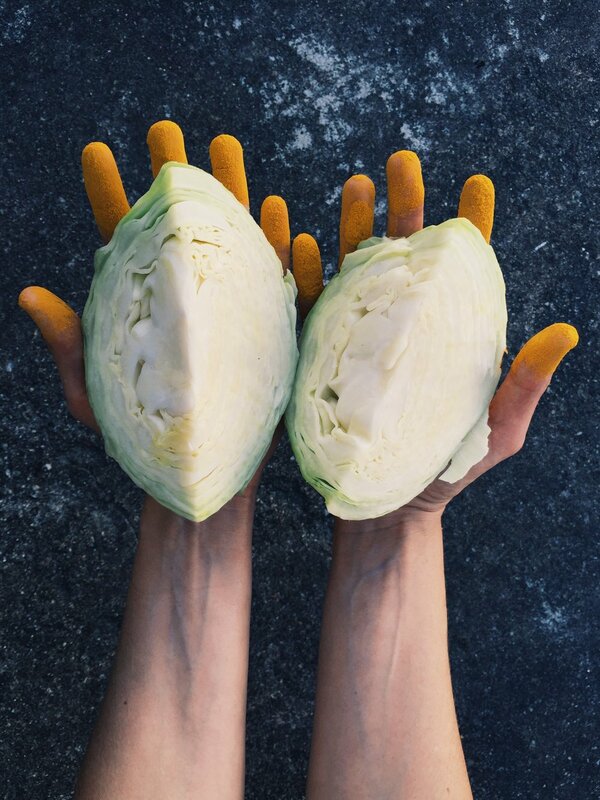 100 Grams of cabbage cover the daily requirements for an adult of folic acid and vitamin C.
Cabbage isn't seasonal as such and can be bought all year round, however autumn and winter are ideal for flavour maturity. 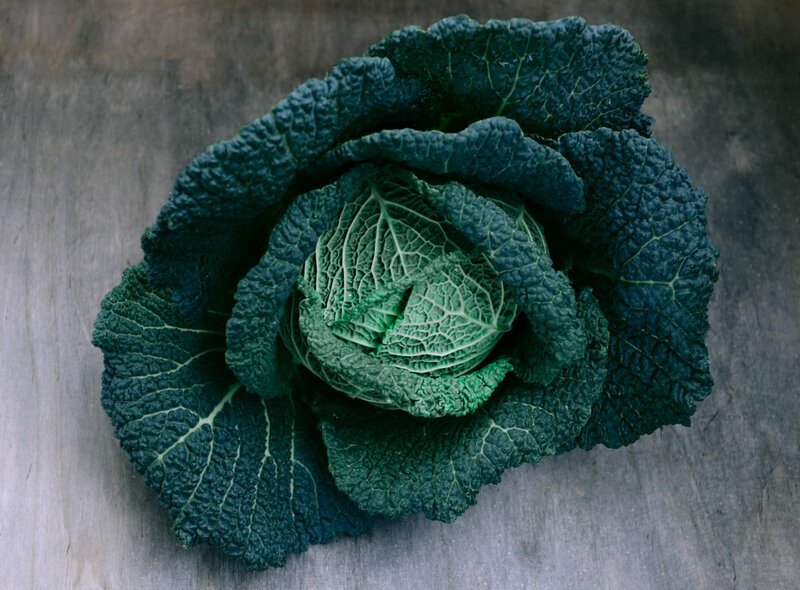 The more leafy, dark green waxy cabbages should be bought with the ear rather than the eye; when shook the leaves should rustle and the leaves easily bent without snapping. Cabbage is most beneficial for our gut health. It helps in eliminating toxins from the body, supports healthy gut flora (especially when fermented - think Kimchi and sauerkraut) and therefore the immune system. Cabbage also shields against the formation of cancer cells and infection in the body and strengthens the heart. Drink its juice for stomach ulcers, steam the leaves and put onto skin ailments to draw out inflammation, and use as a miracle cure for mastitis (inflammation of the milk ducts) for breastfeeding moms.